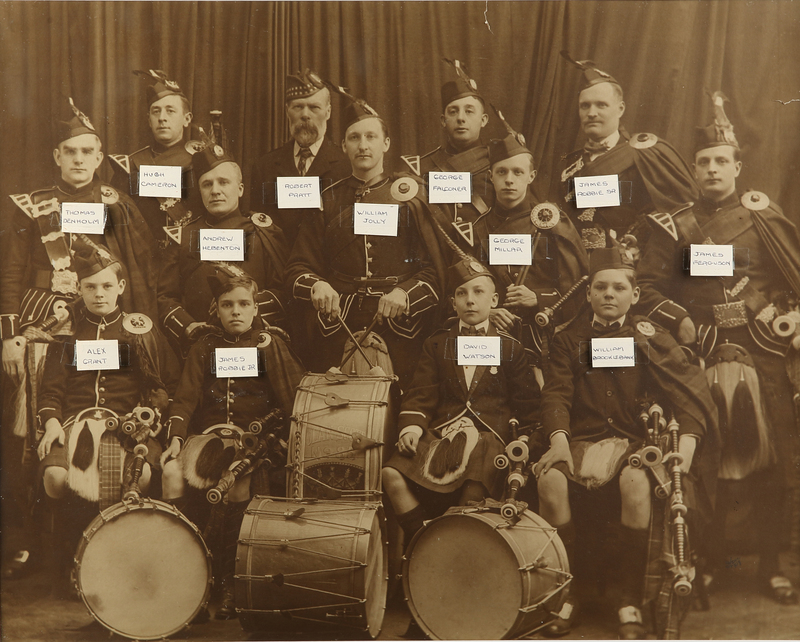 Formed in 1916, the band is one of the oldest functioning pipe bands in the US. The ‘Kilties’ have performed in concert, on parade and in competition throughout the US, Canada and Scotland. The band is famous for being the first pipe band in the United States to rise to international prominence at the Grade 1 level. 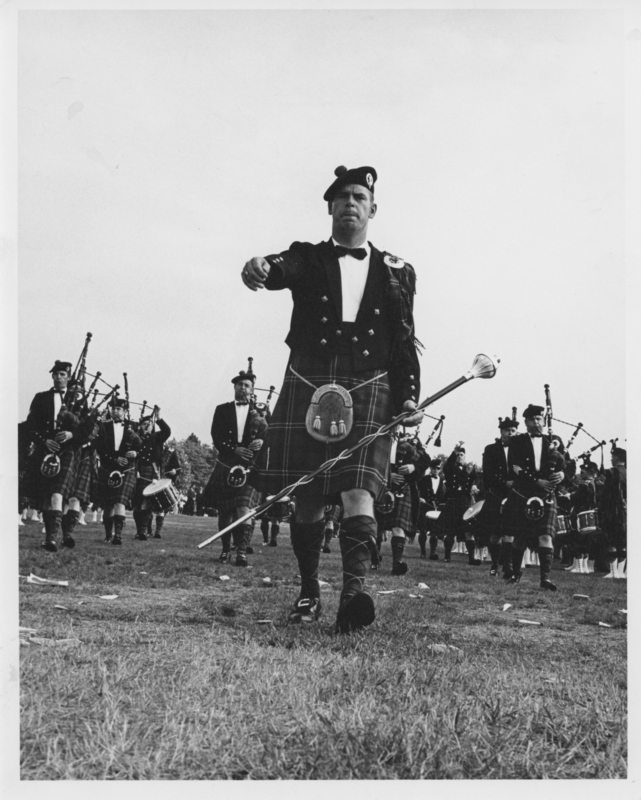 In 1964, Worcester Kiltie became the first band from the United States to compete at the World Championships, held in June in Glasgow. 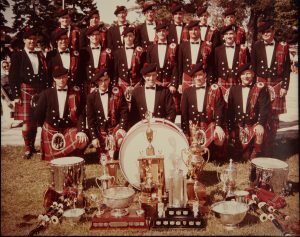 Under the leadership of Pipe Major James Kerr (1932-2012) the band won no less than 5 North American Championships in Grade 1 and in 1969 Worcester took a first prize at the Lesmahagow Highland Games against deep competition from top Scottish bands, including Shotts & Dykehead and Glasgow Police, the reigning World Champions at the time. It was the first time that a pipe band from the United States won a competition in Scotland. Worcester would then go on to win at least one prize at the World Championships that year under Kerr’s direction (3rdplace). The first Pipe Major of the band was Thomas Denholm who came from Glasgow, Scotland originally along with George Millar who would become one of the band’s early Drum Sergeant. 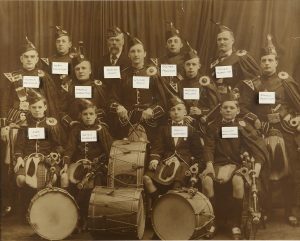 Denholm closely aligned the band with the Clan Scott organization in the early years who helped raise funds for the band and organized the annual Burns’ Supper. Many members of the band were also members of Clan Scott and the band wears the Scott tartan to this day. 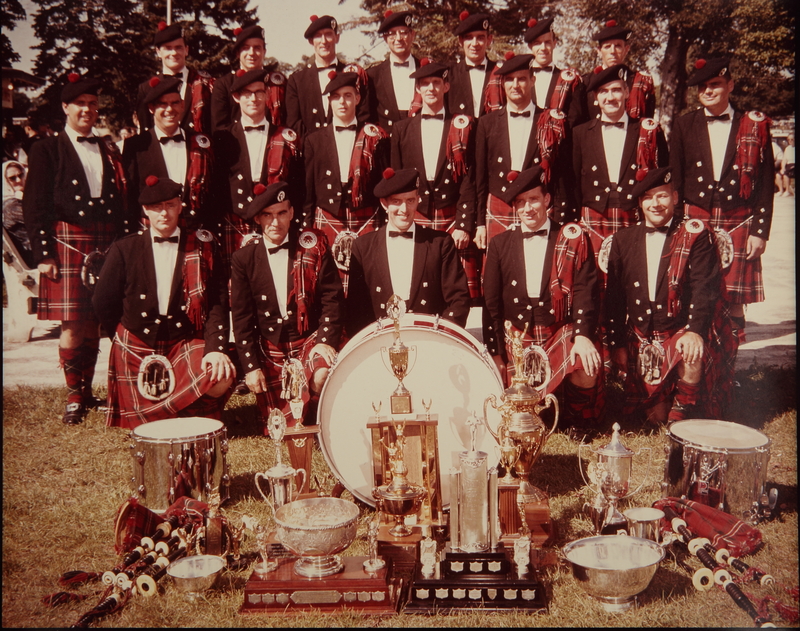 In fact, in some of the old pictures, you can see the words ‘Clan Scott’ on the bass drum. One of the most active members of the band and the oldest living former member today, is Warren MacConnell. A Korean War veteran, Warren was a piper, a drum major and band President for many years. He was a tour de force behind the band after joining in 1947. It was his and piper Bill McGuinness’ idea that led to the bands’ active rise in the competition ranks. Their idea was to advertise in Scotland for pipers and drummers who were interested in coming to the US. The deal was that these players would have their transportation paid over by the band, be put up in an apartment for a period of time and in most cases, be introduced to a job opportunity. Many landed employment with Morgan Construction in Worcester as machinists, fitters, assemblers or inspectors.